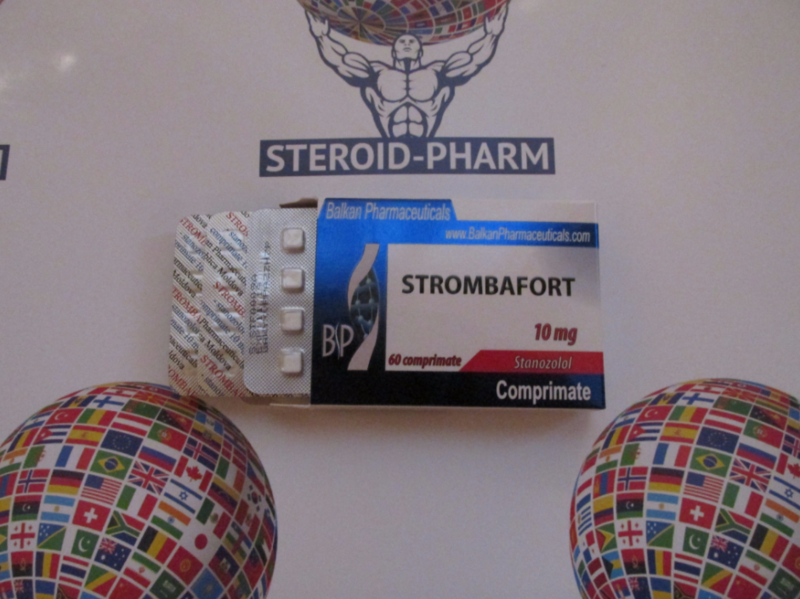 Strombofort is known as one of the most famous brands in the world of various steroids available nowadays. Strombofort, which you can buy on our website, will be an excellent choice for those of you who want to build muscle mass. The active agent in this preparation is the widely known as Stanozolol (or Winstrol). First of all take into account that this preparation is orientated on long-lasted result, so don’t be surprised when you will not see significant results immediately. Just because of lack of lightning fast and short-term result Strombafort will please you with really long-lasting positive and visible changes of your body. Accepting strombafort according to the standard scheme (usually course lasts from 6 to 8 weeks), the athlete receives excellent results in the increase of mass and relief of the musculature, which are not lost after a few weeks, but remain for a long time. 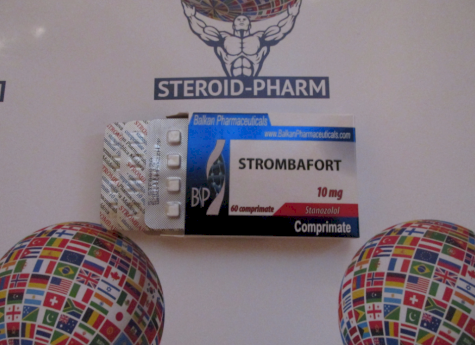 The Strombafort drug increases appetite, forms a synergistic relationship between other anabolics by increasing their effectiveness in a reciprocal combination and enhancing the endurance and physical strength of muscles. Also, with respect to progestogen hormones, this drug has inhibitory characteristics. Strombafort can’t significantly affect the weight of the body, so the athlete will not increase weight by using this preparation; on the contrary, the result of Stanazolol is in improving the quality of the muscles by eliminating water and fat amount. Among main effects of Strombafort are: developing of muscular relief, increasing the number of muscle fibers, increasing strength and elasticity of muscles, burning the excess fat, building only dry and clean mass. The recommended dose for men is about 35-45 mg per day during 7 weeks on average, for women the dose is about 8 mg for taking during 5 weeks. It is very important to take into account the basis of active substances here, because Winstrol in the injection form is produced both on the basis of oil and on an aqueous suspension. A different form of injection is created directly to dilute the ejection rate, since the difference between the duration of time period after which the action of stanazolol begins is important in any steroid course. The suspension of the drug acts quickly when crystals contact the blood. It happens in a couple of hours after the injection. By releasing a sharp surge of active substances, the crystals dissolve in the blood. However, the result fades as quickly as it appears. In fact steroid ‘lives’ in the human body only for several hours, thereby creating conditions for periodical injections. It is recommended to stub stanazolol daily or once in two days for 55-95 mg during 5 weeks. Stanazolol in tablets and Winstrol on an aqueous suspension are identical in their composition, so if you have an injectable form of Winstrol, but you are afraid of injections, you can simply drink it, however, it is proved that the introduction of a steroid by intramuscular way is more effective. For achieving the desired results we highly recommend you to order Strombafort only from reliable websites. You can make your order here and enjoy the highest quality of drug. We offer you no fakes, as well as ridiculously high prices, only pure quality and affordable costs.